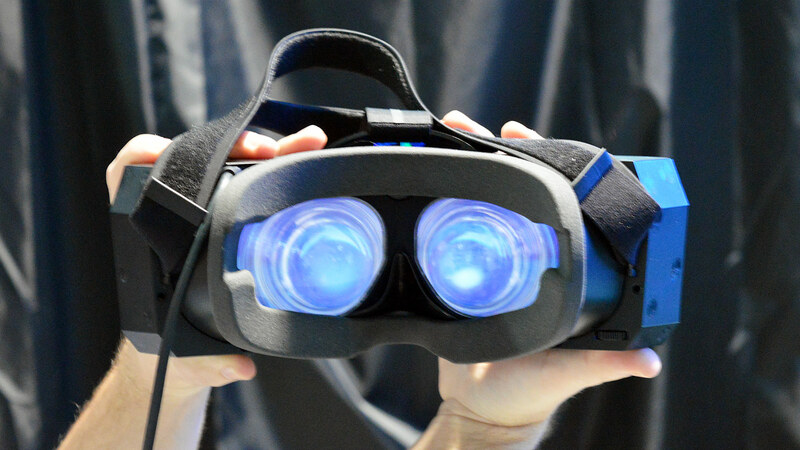 Last year at CES we took a good long look at Pimax’s “8K” headset and saw potential, but identified a number of key issues that would need addressing before the headsets actually hit the market. This year at CES, our hands-on with Pimax’s latest headsets shows that they’ve made big progress and addressed most of the major issues seen last year. It took a few delays over the course of 2018, but Pimax has made big steps forward with their “8K” headset, and even announced a new variant (the “5K” Plus, which replaces the former “5K” with an improved display). Now the company has begun delivering headsets to Kickstarter backers, taking open orders, and is on the cusp of shipping to its first non-Kickstarter backers. 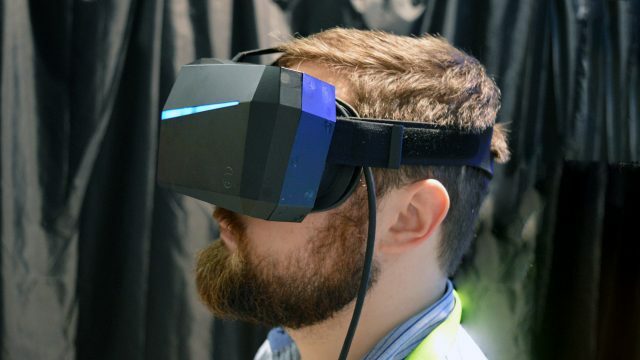 After going hands-on with the production version of the Pimax “8K” and “5K” Plus this week at CES 2019, I came away impressed with the progress the company has made toward delivering a headset with an ultrawide FOV that can stand as a real option next to contemporary headsets. It seems prudent to go through each of the issues identified last year and give a brief assessment of where things are today. Last Year: Several distracting visual artifacts are hampering the experience. 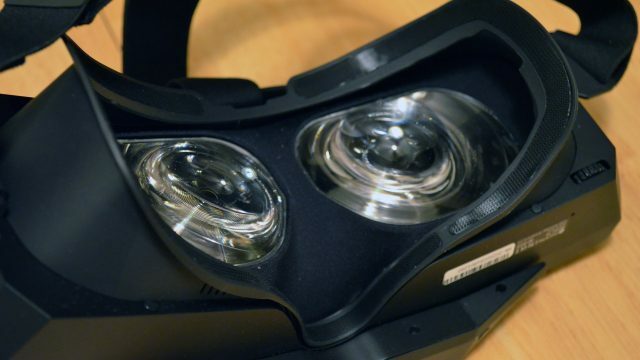 Last year the Pimax headset was showing bothersome artifacts at the edges of the wide FOV, including blur, distortions, and distracting reflection-like imagery at the top and bottom. There was also eyestrain that I couldn’t quite place, but felt like the headset was making it challenging for my eyes to maintain stereo fusion, which suggests some sort of projection or alignment issue. This Year: Most of the prior visual artifacts have been eliminated. This year when looking into the headset’s ultrawide FOV I saw an image that was impressively wide and mostly consistent across the field of view. The distracting reflection-like imagery at the top and bottom of the image are completely gone, and so is the heavy blur in the periphery. The far left and right periphery still show some distortion of the image, but it’s fairly minimal; how distracting that distortion is will depend on content (and probably also your facial topography), though if it looks to others as it does to my eyes, I think it’s subtle enough that most people will be able to get used to it without much bother. If you can’t get used to it, Pimax offers three software field of view settings which reigns in the FOV, with the distorted regions mostly not seen at all with the middle ‘Normal’ setting. There’s also other reasons you might want to run at a setting other than the maximum FOV (like less demanding rendering). The lingering eye strain I felt last year seems to be eliminated. And while previously the IPD adjustment didn’t show you an actual measurement in the headset (which might have contributed to the issue), that information now appears correctly in the view, making it easy to dial in your known IPD. Last Year: Pimax claims total elimination of the screen door effect. Last year Pimax was advertising for the “8K” that “the graininess and ‘screen door’ will never disturb you again.” That sounds undoubtedly like the screen door has been eliminated on the headset, but it wasn’t the case at CES. While the screen door effect is reduced over other headsets it was by no means eliminated. This Year: Screen door claims are still not true. Pimax is still making misleading claims about the “8K” not showing any screen door effect (“Get rid of the SDE”), and even for the lower resolution “5K” Plus (“no more pain about Screen Door Effect”). I’ve seen prototype VR displays which actually have zero visible screen door effect, but this is not true for either Pimax headset. The screen door effect is less visible than first-gen headsets like the Rift or Vive, but certainly doesn’t come close to eliminating it outright. This seems to be mostly a case of exaggerated marketing, but they should really admit their exaggeration and dial it back. Last Year: Strange green lines across the display.